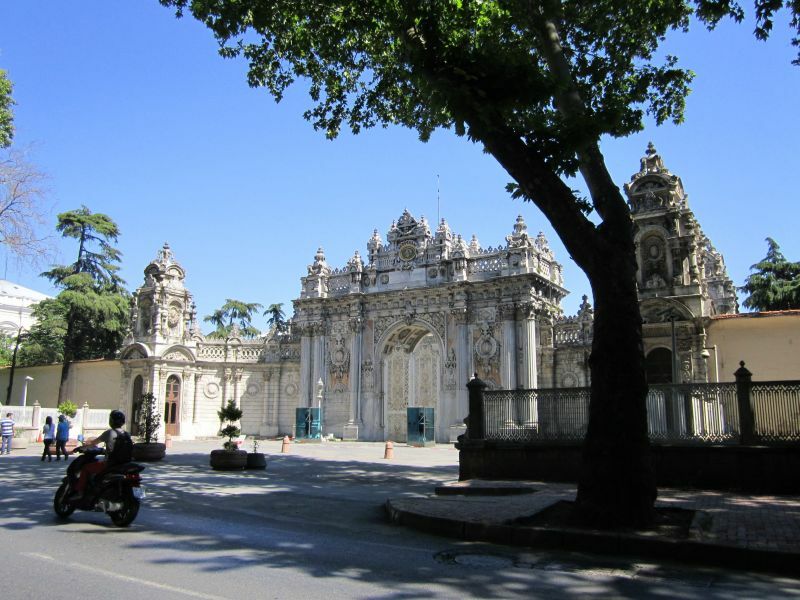 The Ottoman Sultans ruled, at the beginning, from the Topkapı Palace. 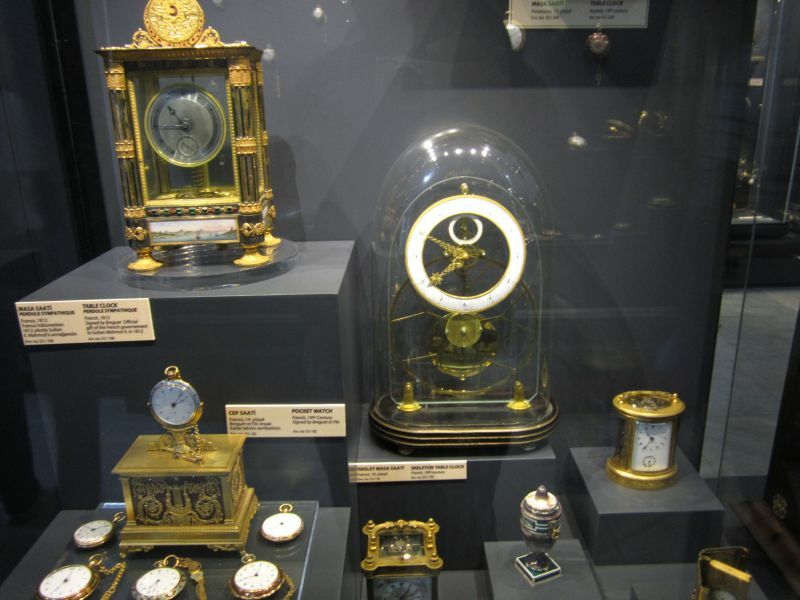 We found inside a collection of arms and armors, gems, jewelry and clocks. 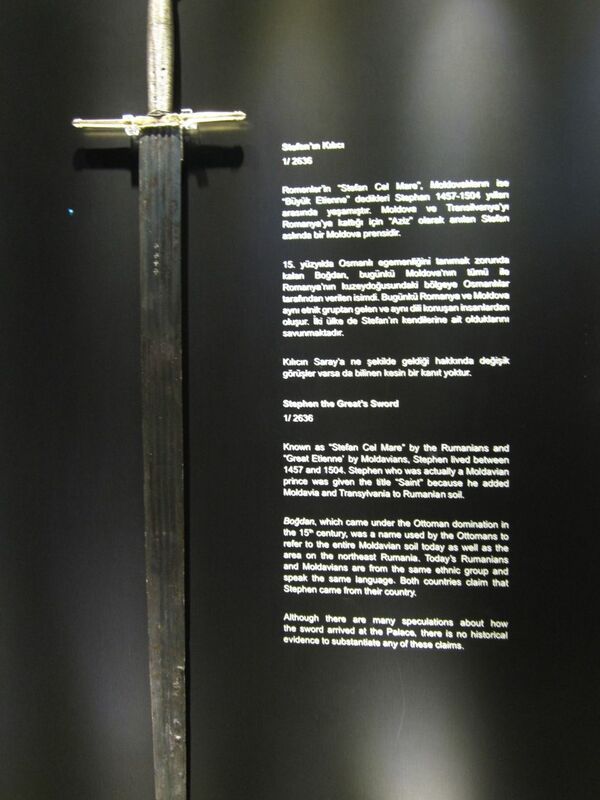 Part of the collection is the sword of Stephen the Great. Click image for high res explanations. It looks like there is some error in the explanations (check the comments). 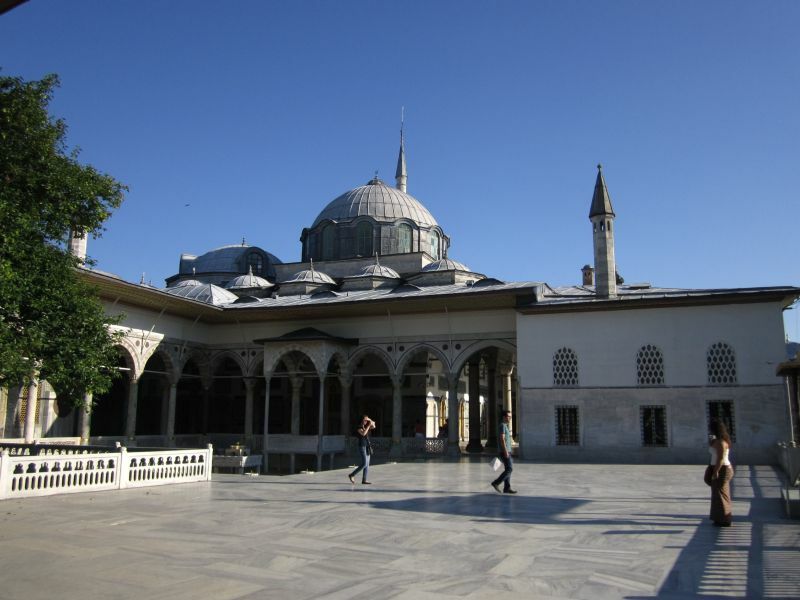 During the late XIX century the Ottoman empire was trying to catch up with the West. 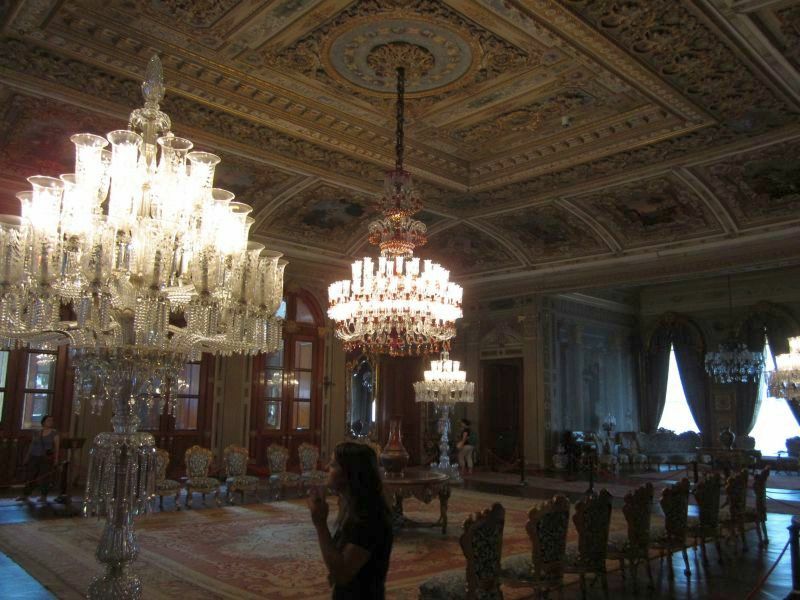 Thus, the administration moved to a new palace, built with Baroque, Rococo and Neoclassical influences. 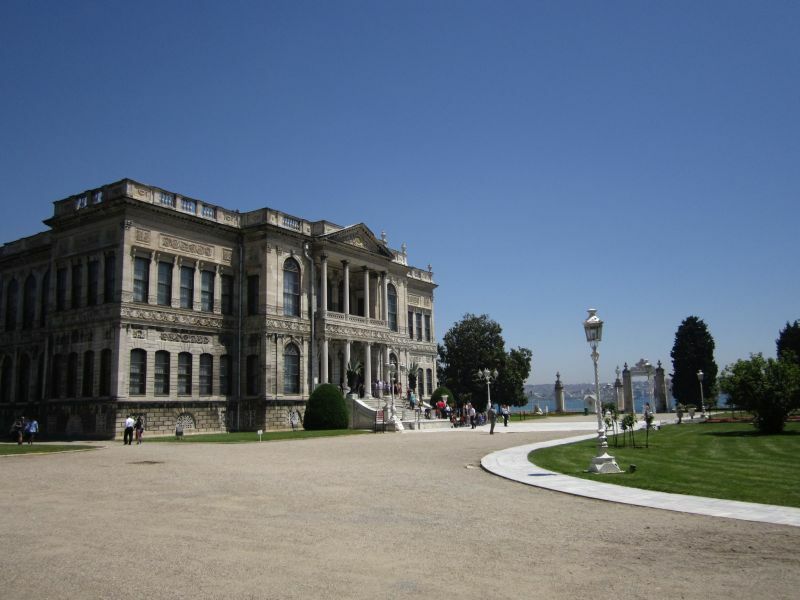 The focus of the museum is on the lifestyle of the ruling family. 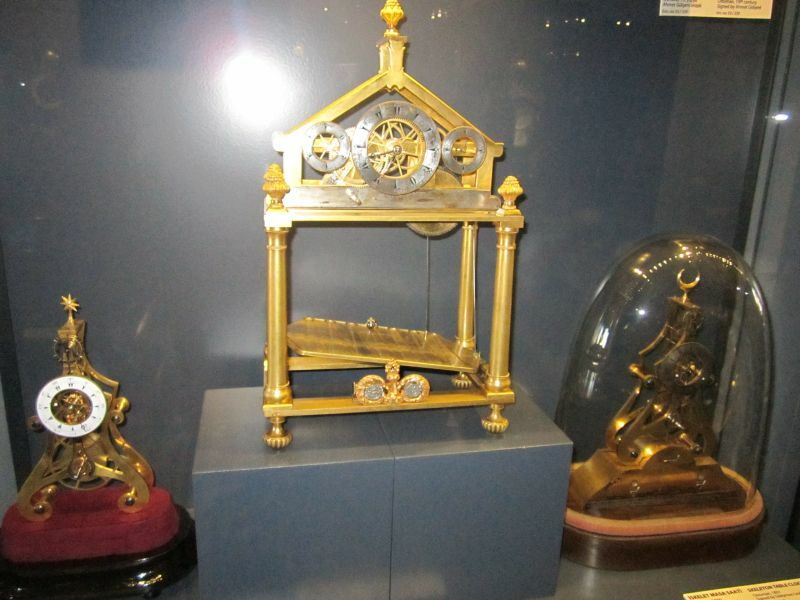 Very interesting furniture, paintings and decorations. 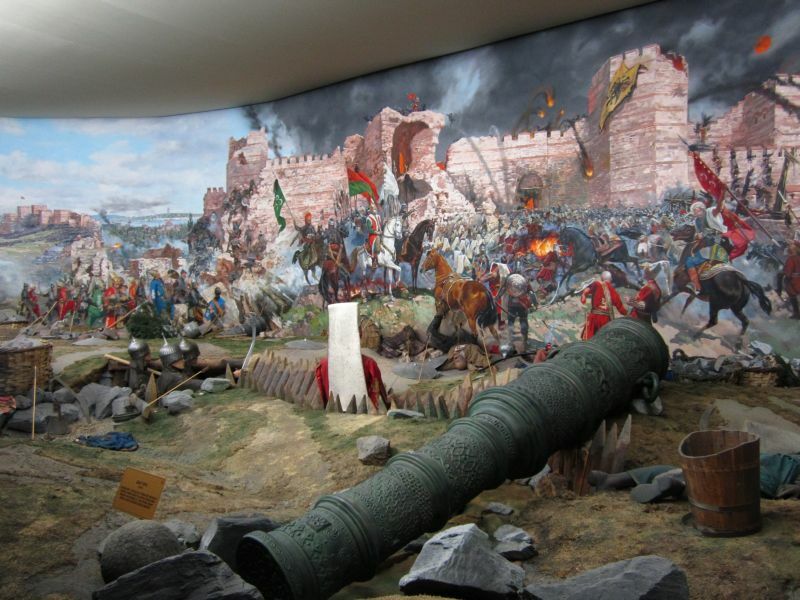 The fall of Constantinople is depicted with paintings, models and artifacts at the Military Museum. 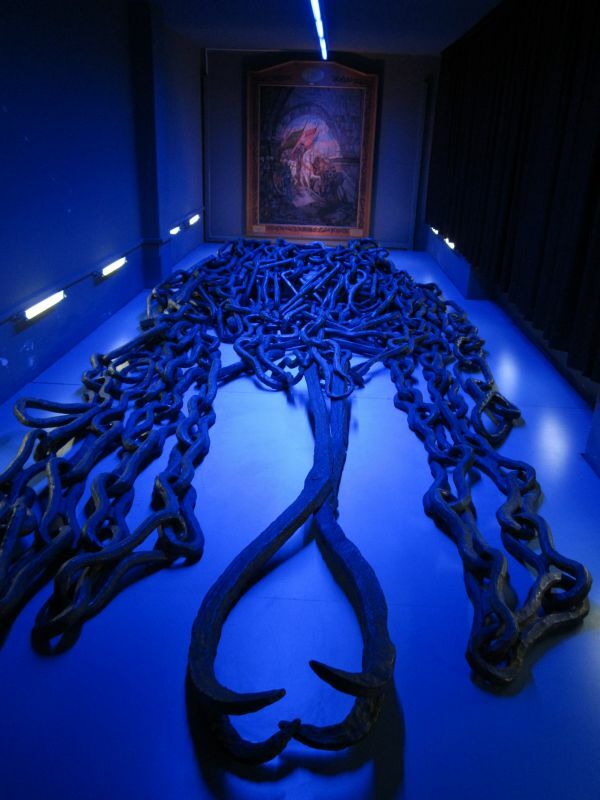 This is the chain the defenders used to block the mouth of the Golden Horn. 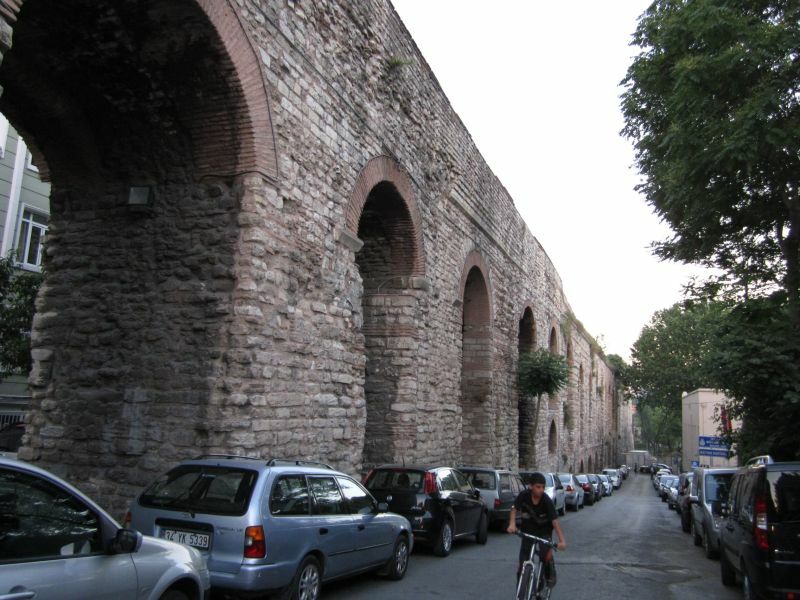 During the Fourth Crusade, some 200 years earlier, the walls on that side of town were the first to collapse, leading to the defeat. 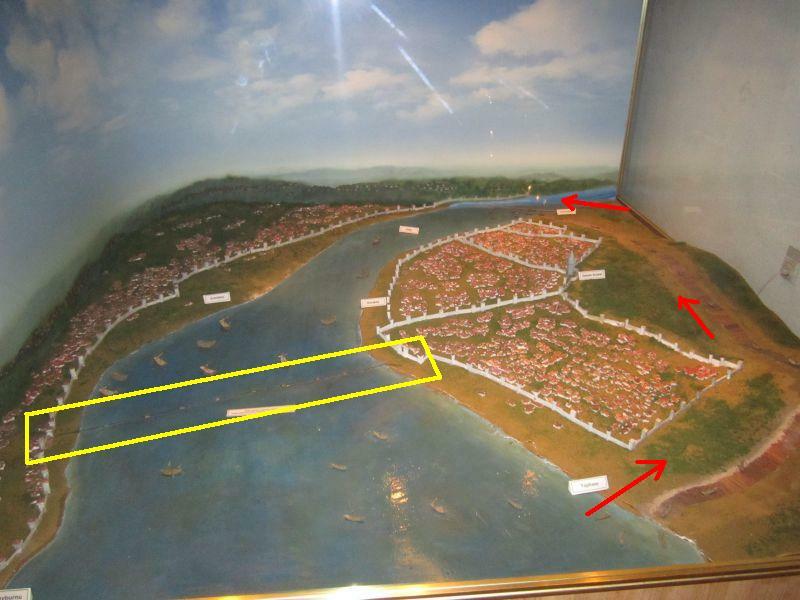 The Ottomans were unable to break the chain (yellow) but they came up with an interesting solution: they built a wooden road (red) around the Galata fort. They pushed their ships off the water on that road, thus circumventing the chain. 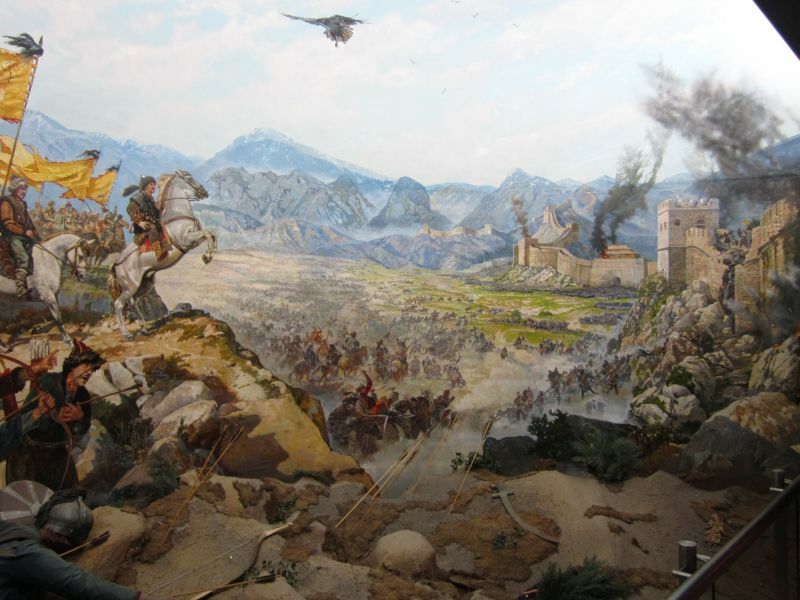 This undermined defender’s morale and severed an important supply route from neutral Galata. 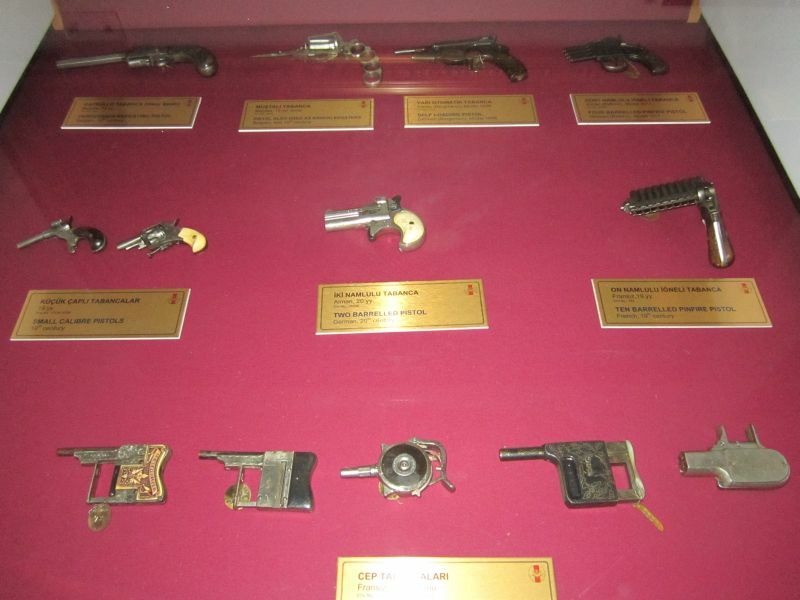 The museum exhibits a nice collection of weaponry, armor (for combat and ceremony) and artillery. 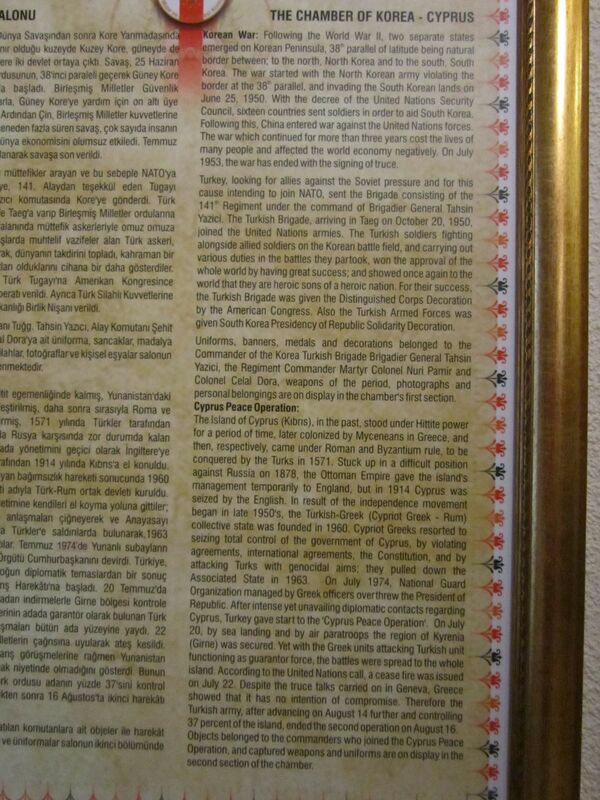 Click to see high res the Turkish version of the Armenian and Cyprus issues. Summary: a small enemy that can’t be defeated must be a terrorist AND the occupation is, in fact, a liberation! In the garden there is a daily fanfare show. 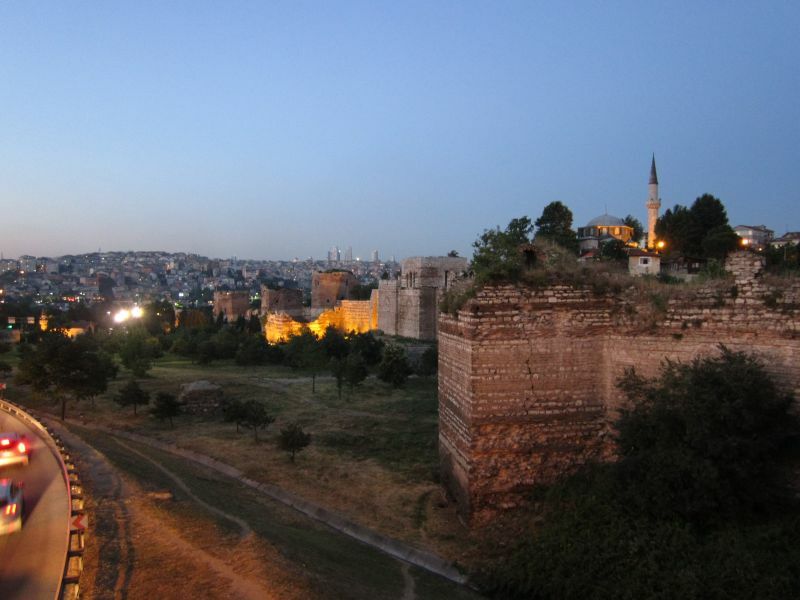 Some of the oldest ruins visible today are the walls of Constantinople, built in the V century by Emperor Theodosius II. Most of the western side still stands, however not much is being done for preservation: there are no steel supports to hold the cracked pieces together and we saw people climbing to the top of them for drinks with cool sights. 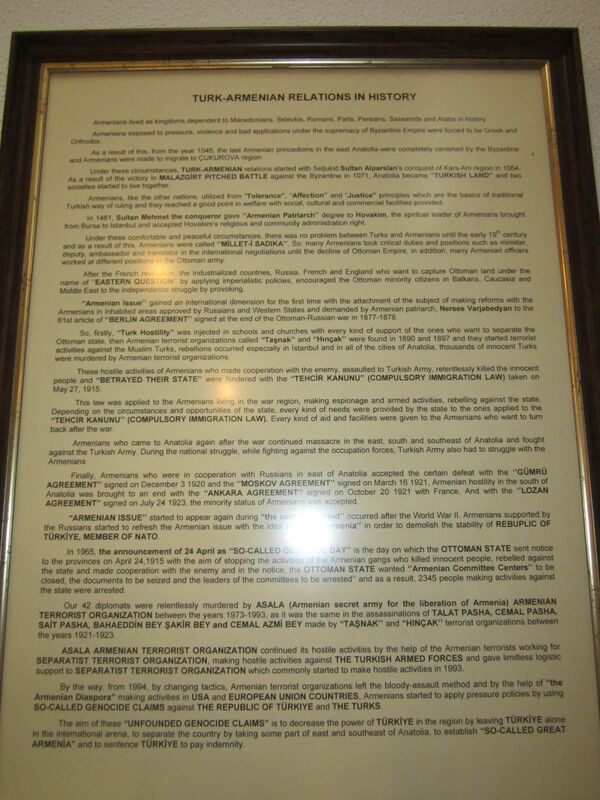 The access was unrestricted. 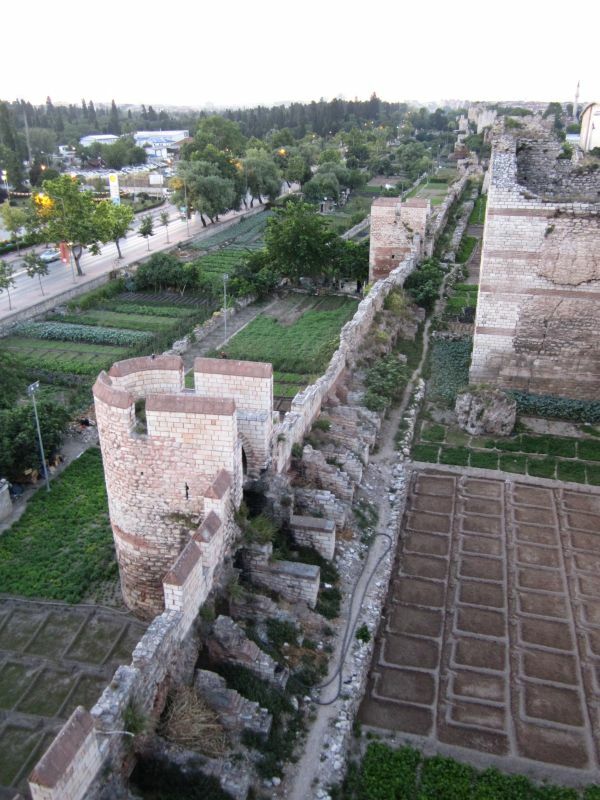 There are at least two large pieces of aqueduct remaining today, and they are of the same age as the walls. 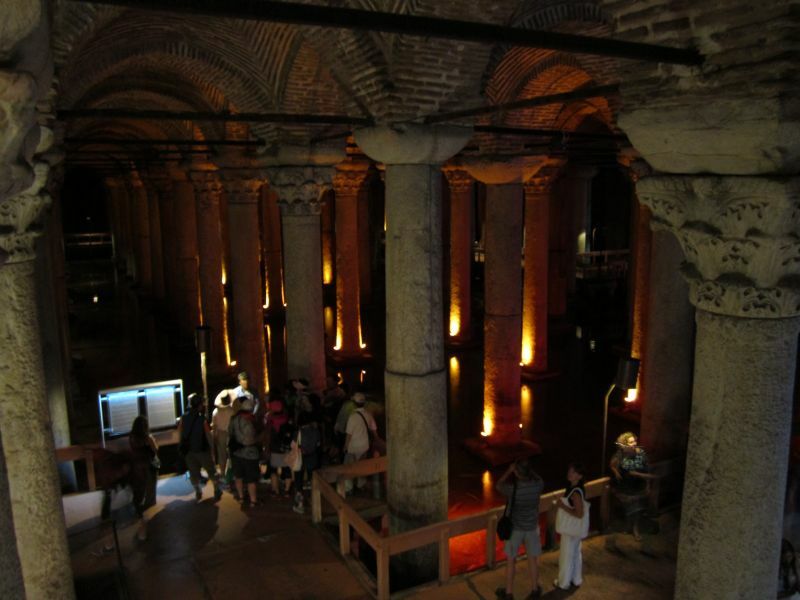 Water was stored in underground cisterns. 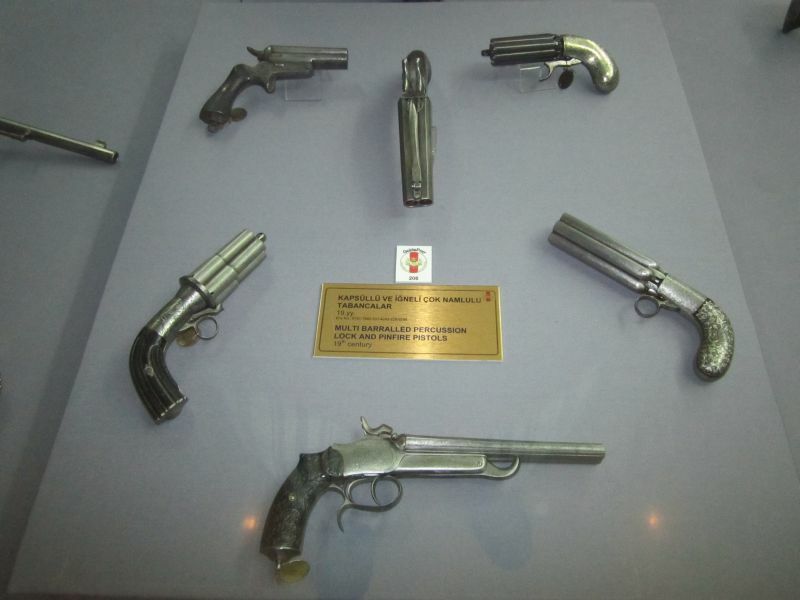 At least three are preserved. While visiting, the feeling was very intense. Better than any video game ever imagined! Absolutely remarkable! 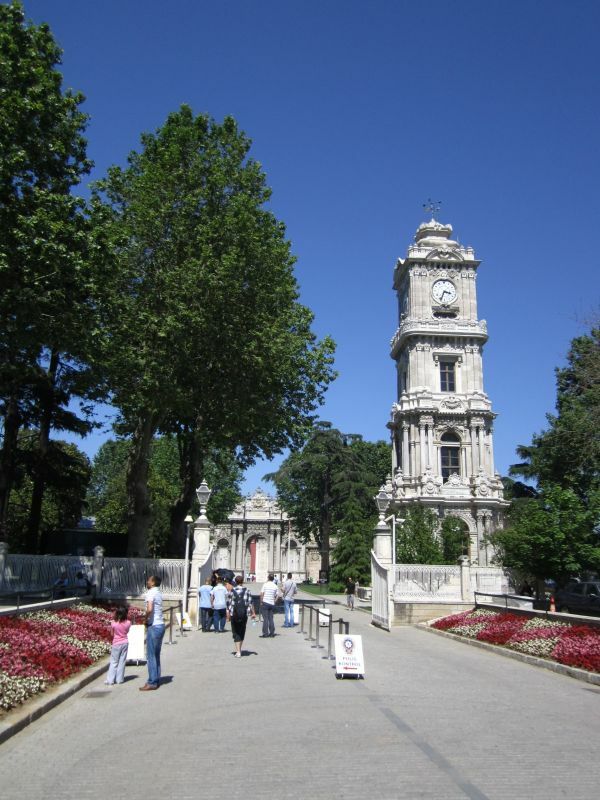 Blogging from Bucharest, where we arrived on the 18th of June, 6 months and 12 days after arriving in Hanoi. 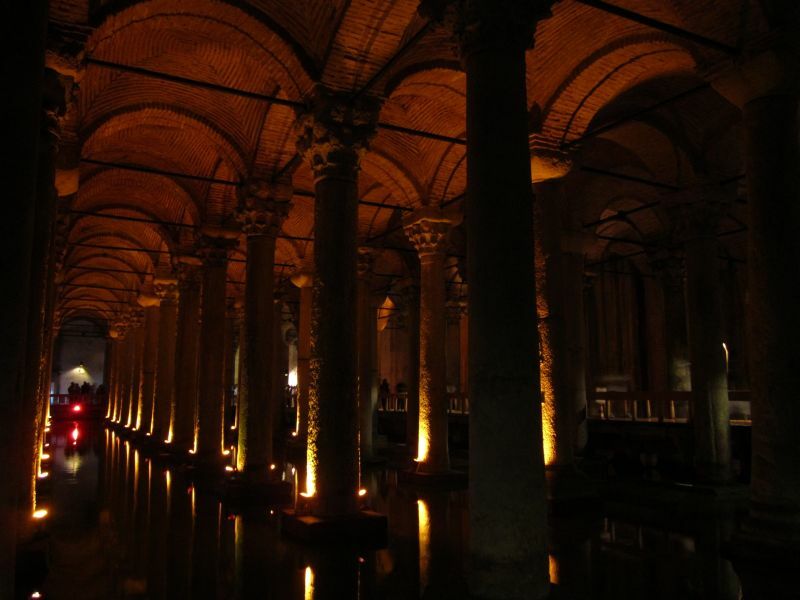 Istanbul was a huge surprise. 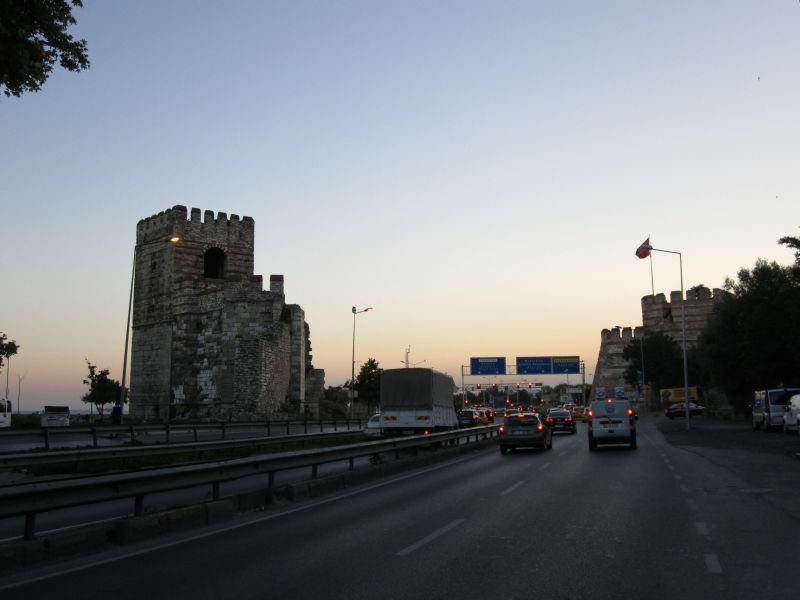 Owing it to it’s fascinating history and geography, the city established itself as the top travel destination among all major cities visited in Asia. 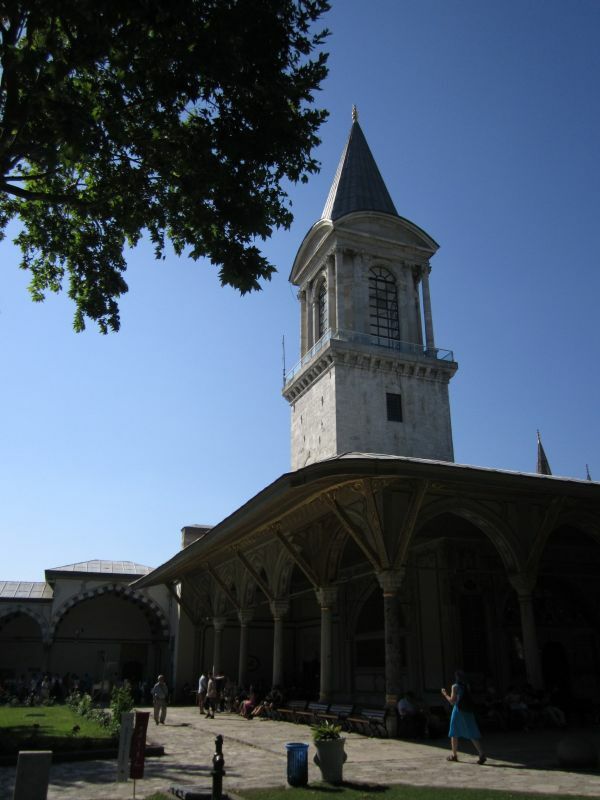 It took us one full day to develop a sightseeing strategy, so it’s going to take a few posts to talk about. 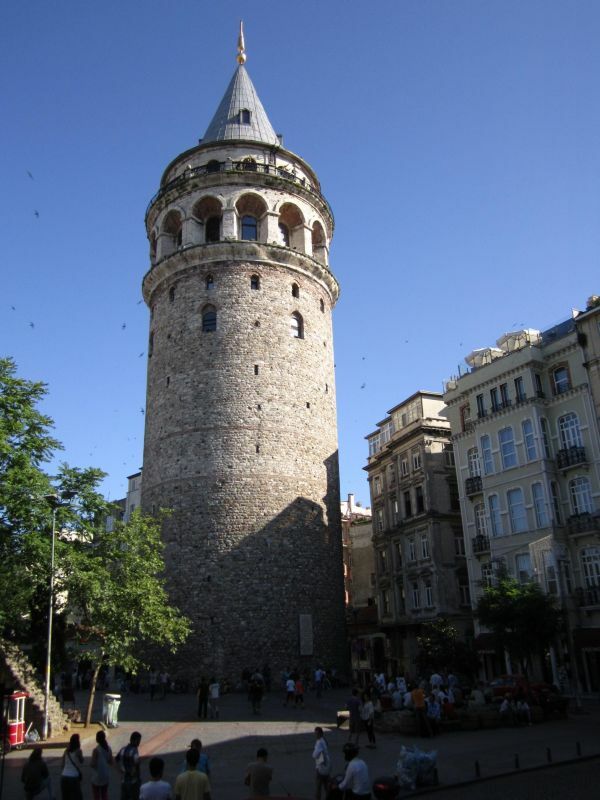 It’s easier to understand what is what from the top of the medieval era Galata tower. 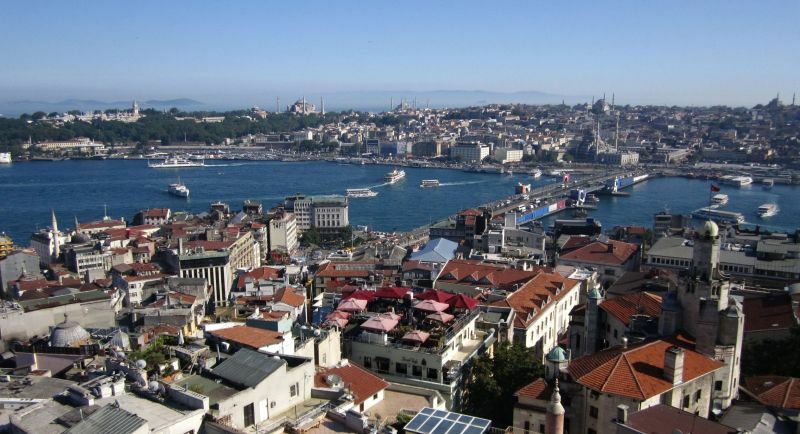 Across the Golden Horn we can see the old Constantinople, and the two mosques Hagia Sophia and Süleymaniye. 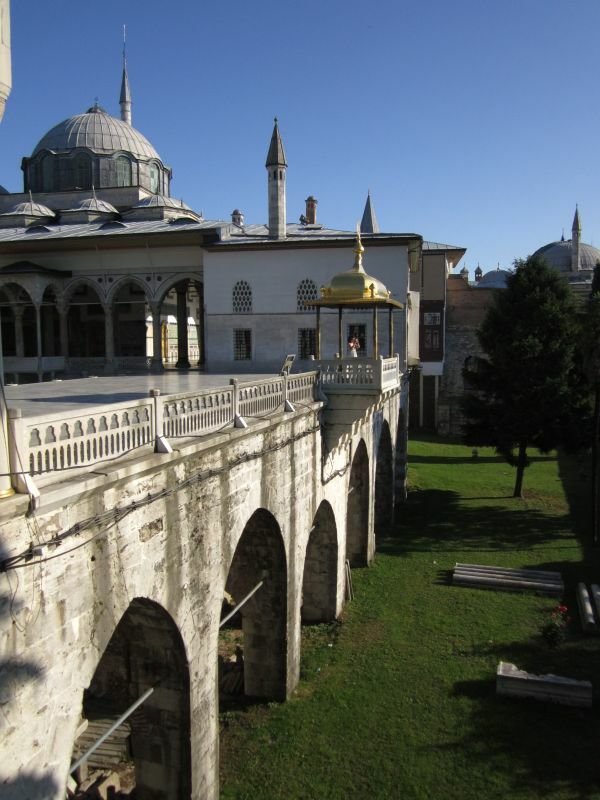 This view is from the Topkapi Palace in old Constantinople. You can see Asia on the far right side. 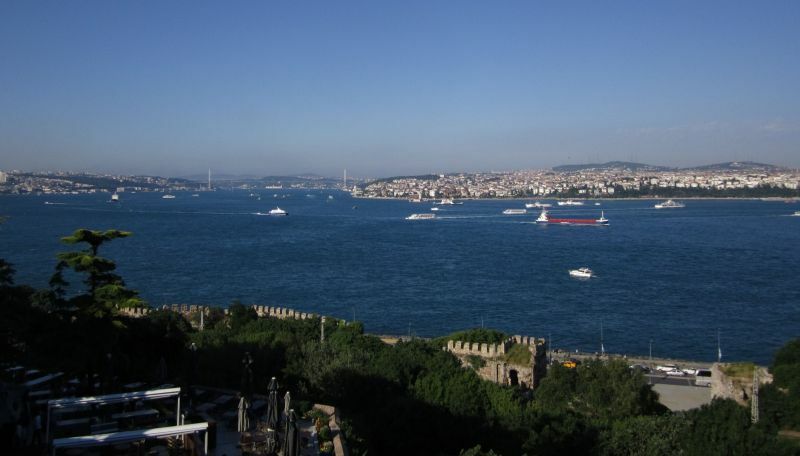 And a close view of the Bosphorus bridge, also from the European side. 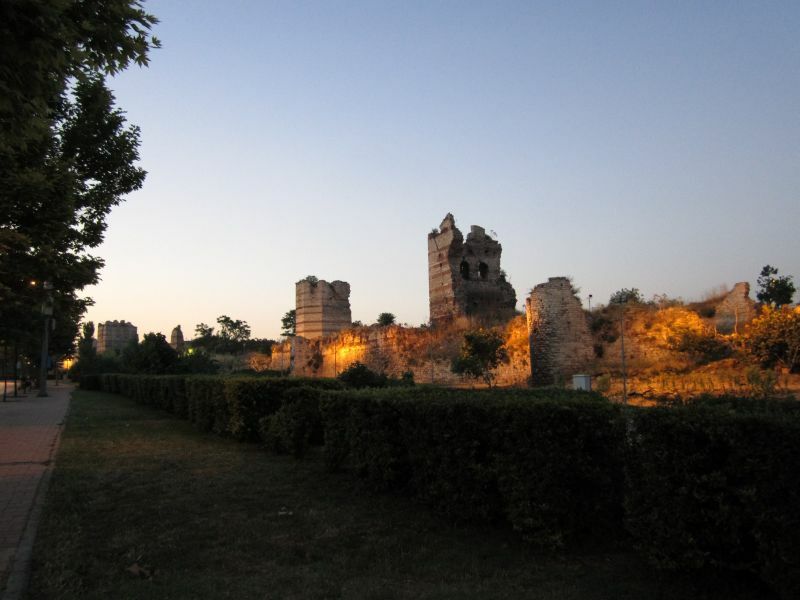 It was a pleasure riding on the shore: plenty of old wooden houses, cafes, parks and some city wall ruins. 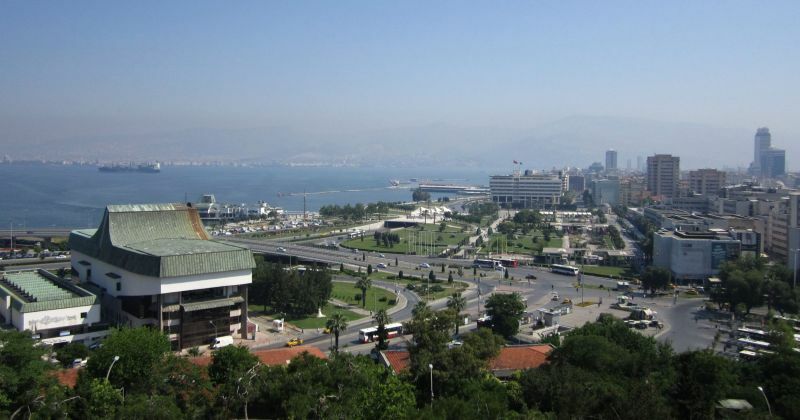 This is Izmir, a city on the Eastern shore of the Mediterranean see. It has a cute winding road on the side of the beach. 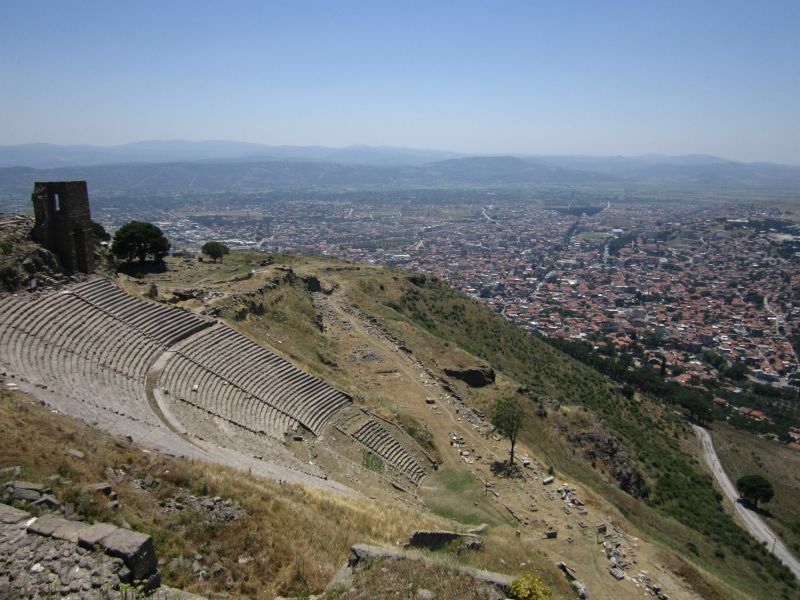 Not too far North is Pergamon. 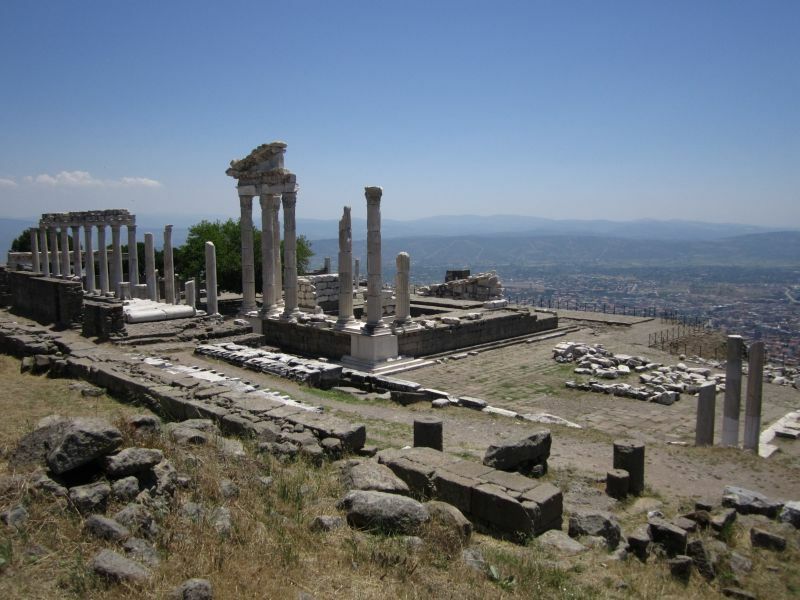 Originally a Greek colony, it came under Roman and Ottoman rule as the centuries passed. 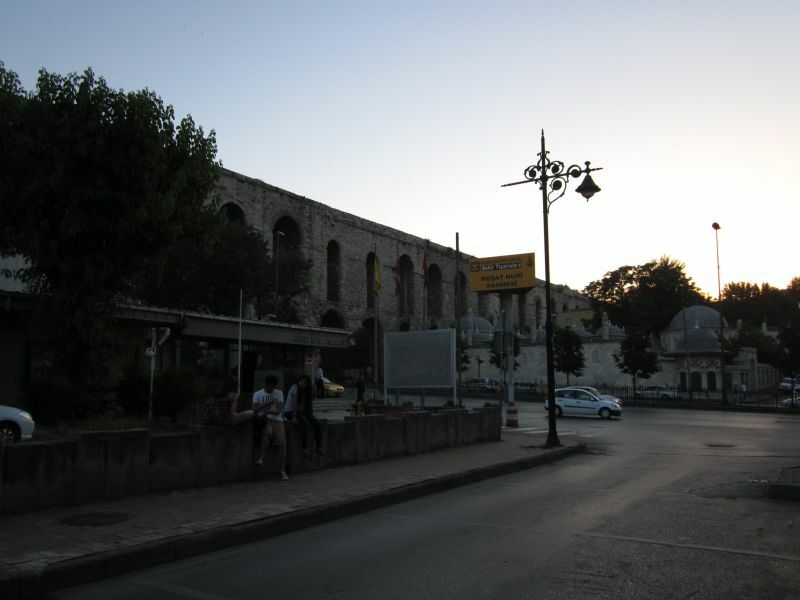 The Acropolis – partially reconstructed – is the main attraction. 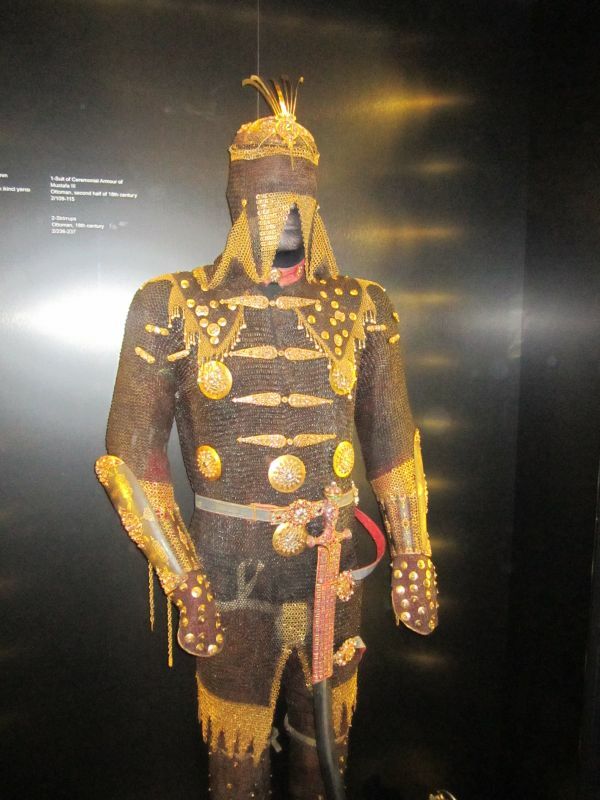 We’ve seen parts of it also at the Pergamon Museum in Berlin. Quite nice! 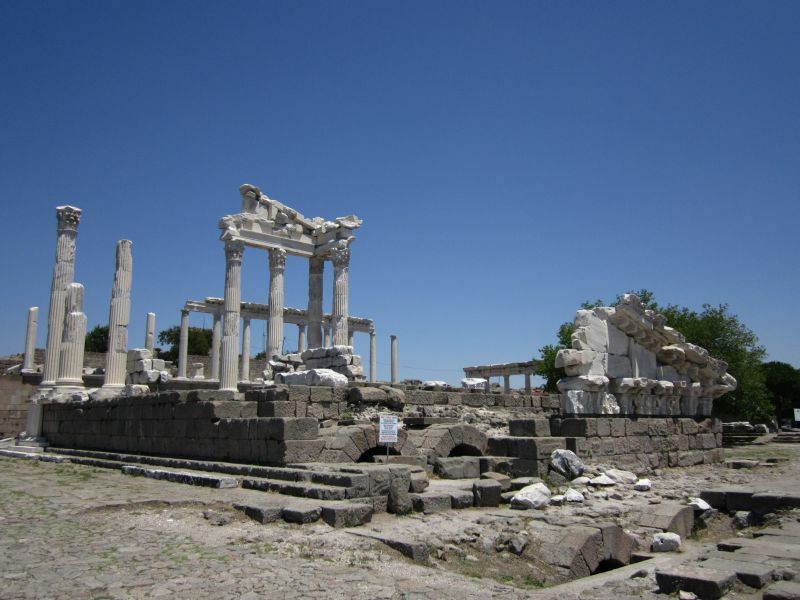 Pergamon was our last scheduled stop in Asia. 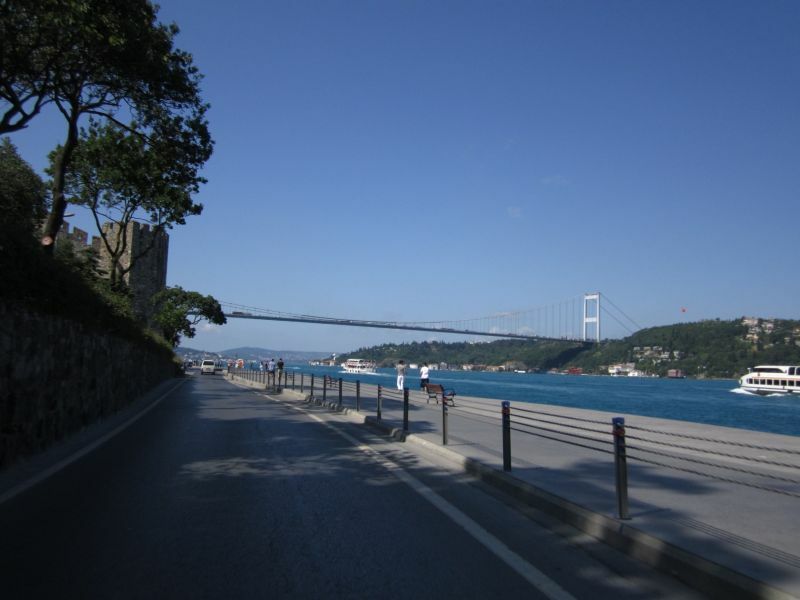 Soon after, we were on the Bosphorus bridge, crossing to Europe. 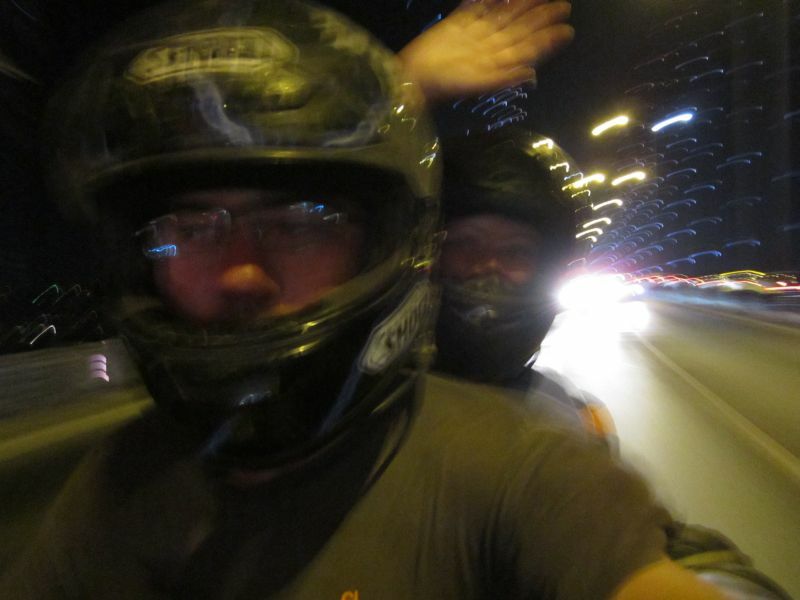 We travelled 23,300 km by bike and thousands more by train, plane, ship and bus.